On 3 April 2019 former United Nations High Commissioner for Human Rights Zeid Ra’ad Al Hussein received the Justice William J. Brennan Jr. Human Rights Award from Rutgers Law School in Camden. Named in honor of the late U.S. Supreme Court justice, the Brennan Award is presented by Rutgers Law School to a foreign lawyer or judge who has made a notable contribution toward establishing or defending human rights and the rule of law. As the sixth U.N. High Commissioner for Human Rights, Zeid Ra’ad Al Hussein was known for his outspoken views. See e.g. 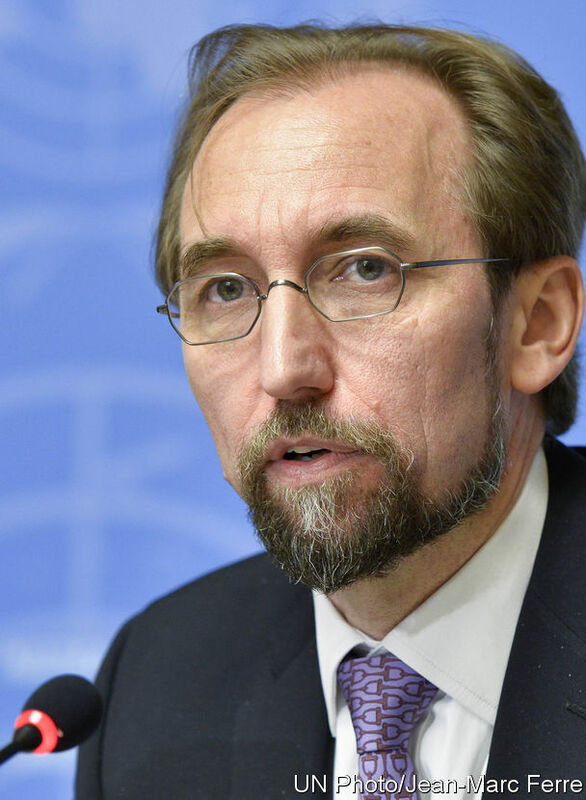 : https://humanrightsdefenders.blog/2017/12/22/bound-to-happen-but-still-high-commissioner-zeid-announces-he-will-not-seek-second-term/and https://humanrightsdefenders.blog/2018/06/15/not-so-diplomatic-diplomat-of-the-year-zeid. One at the political level: On 17 March it was reported that a Sri Lankan parliamentarian – who will be a member of a delegation to be sent to the UN Human Rights Council next week – has slammed the UN High Commissioner for Human Rights report on his island, calling it “an atrocious piece of writing containing lies, half lies and highly contestable statements”. Sarath Amunugama, a senior former minister said the Sri Lankan delegation would be meeting with the UN High Commissioner for Human Rights to take up their complaints in person. The report, released last week, said Sri Lanka had made “virtually no progress” on the investigation of war crimes, and also raised several other issues, including concerns over on-going reports of abduction, torture and sexual violence, institutional failures within the criminal justice system, ongoing harassment of human rights defenders since 2015 and the military’s continued occupation of civilian land. Amunugama though claimed the report was “methodologically incorrect” and contained “totally unwarranted statements”. His comments come after less than a day after Sri Lanka’s ministry of foreign affairs agreed to the co-sponsoring of a roll-over UN resolution, the president Maithripala Sirisena said he wanted it stopped. Sirisena also said that the delegation he would be sending to Geneva would argue that Sri Lanka should be allowed to ‘solve its own problems’. And the other more ‘scientific’, fact-based approach of Verité Research which is engaged in a four-part series on government progress in fulfilling commitments in Resolution 30/1. 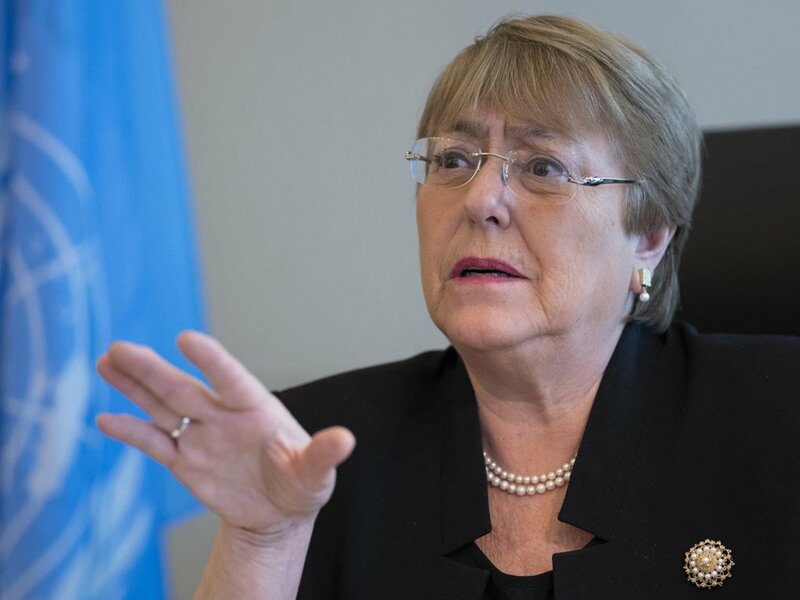 High Commissioner for Human Rights, Michelle Bachelet, said on Thursday 25 October that comments made by Burundi’s UN ambassador the previous day, were “deeply regrettable in both tone and substance” and demanded that it “immediately retracts” its threat to try and prosecute members of a UN Commission of Inquiry into rights abuses in the central African nation. She also raised concern over the Burundian Government’s “complete failure” to address the very serious findings of the Commission of Inquiry. On Wednesday, the Ambassador and Permanent Representative of Burundi to the UN, Albert Shingiro, had attacked this independent international inquiry team, threatening to prosecute its members and compared Commission Chair, Doudou Diène, to a participant in the slave trade [SIC]. Amazingly Burundi is also a current member of the Geneva-based Human Rights Council [see: https://humanrightsdefenders.blog/2016/02/08/what-is-burundi-doing-in-the-un-human-rights-council/]. “I urge the Government of Burundi to issue an immediate retraction of this inflammatory statement and to offer a full apology to Mr. Diène and the other Commissioners, as well as to the Human Rights Council, which created the Commission, and its President who selected and appointed the three Commissioners,” she said. In a briefing paper for the new UN High Commissioner for Human Rights, Michelle Bachelet, ISHR has set out ten concrete and practical ways in which the High Commissioner and her Office can contribute to protecting human rights defenders and promoting a safe and enabling environment for their work at the international and national-levels. ‘Supporting and empowering these defenders – and protecting them against those governments, corporations and fundamentalists whose currency is prejudice, profit or privilege – should be the new High Commissioner’s highest priority. She should consult closely with defenders, speak out and pursue accountability when they are attacked, push for laws and mechanisms to protect them at the national level, and ensure that the UN human rights system is safe, accessible and effective for them,‘ ISHR Director Phil Lynch said. 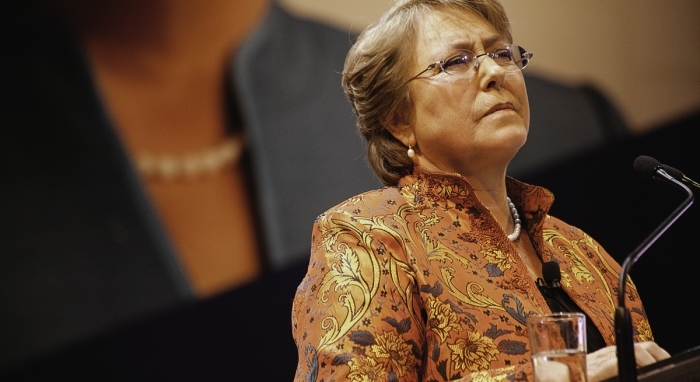 The ISHR briefing paper complements a broader civil society letter supported by more than 750 civil society [https://humanrightsdefenders.blog/2018/09/08/civil-society-sends-letter-to-new-high-commissioner-for-human-rights-bachelet/]. Be proactive in regularly consulting and working in partnership with human rights defenders and other independent civil society actors. Make clear and regular statements on the essential role played by human rights defenders and the need to ensure they can work in a safe and enabling environment without fear or hindrance, acknowledging the protection needs of particular groups of defenders. Speak out and demand accountability on cases of threats, attacks and reprisals against human rights defenders, including by calling for and supporting impartial investigations, prosecution of perpetrators, and effective remedies for victims. Push and work with States to fulfil the commitments laid out in the UN Declaration on Human Rights Defenders, including through repealing restrictive legislation and developing specific laws, policies and mechanisms to protect defenders. 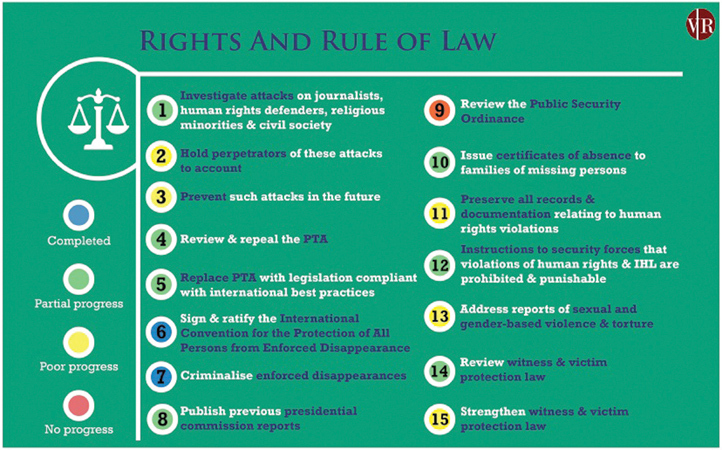 Establish a comprehensive set of indicators to assess State fulfilment of human rights obligations related to human rights defenders, which could be used as an evidentiary basis for assessing compliance. Build strategic alliances with States, civil society, academics, business enterprises and other actors with a shared interest in human rights, ensuring an enabling environment for civil society and respect for the rule of law. Define an operating procedure at OHCHR to ensure that all offices establish and apply minimum standards in regard to their work on and with human rights defenders. Encourage the Secretary General to carry out a full audit of UN work on human rights defenders and to develop an organisation-wide policy on supporting and protecting defenders. More generally, work closely with the Secretary-General to ensure that all UN agencies contribute to, and coordinate on, the protection of defenders and ensuring an enabling environment for their work. Encourage the development and implementation of an effective UN-wide policy on preventing and addressing reprisals and strongly support continuation and adequate resourcing of the mandate of the UN Senior Official on reprisals. Work to ensure that UN human rights bodies and mechanisms are accessible, effective and protective for human rights defenders, in particular by ensuring that any reform efforts are informed by the full and meaningful participation of civil society. Strong leadership from the High Commissioner is essential to ensure that the process to strengthen the Treaty Bodies in 2020, and the General Assembly mandated status review of the Human Rights Council in 2021, are underpinned by these principles. 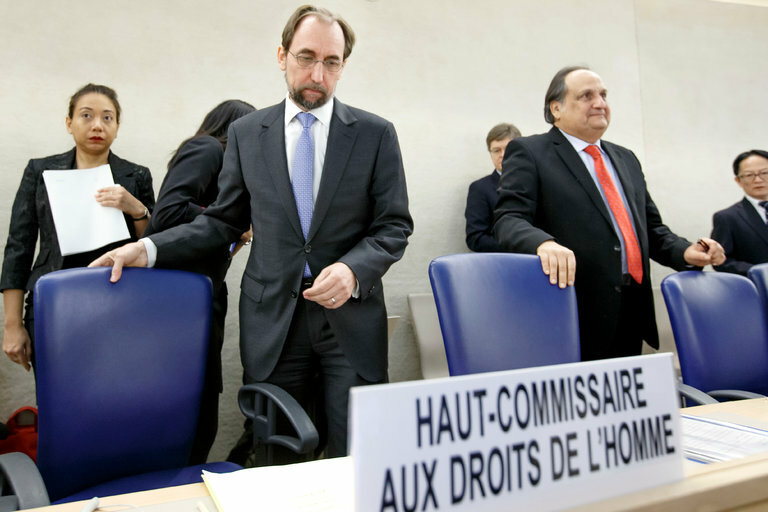 Zeid Ra’ad Al Hussein, UN High Commissioner for Human Rights, in his statement at the 33rd session of the Human Rights Council, said he was “concerned by harassment and arrests of human rights defenders and political activists, and legislation which enables revocation of citizenship without due process” in Bahrain. The UAE’s Permanent Representative to the United Nations, Obaid Salem Al Zaabi said that the emirates shares the high commissioner’s concerns about several human rights issues in different parts of the world. He even gave careful endorsement of the HC’s statement on interference by saying: “The current experience shows that there is still a misunderstanding in the areas related to enhancing human rights at the national levels, which led the nations to deem them as interference in their respective internal affairs and a violation of their sovereignty,” Al Zaabi said, according to news agency WAM. But then he had to add that he regretted that the High Commissioner ignored in his update the efforts made by Bahrain to provide a rapprochement ground for all parties to overcome this difficult stage. “Concentrating only on the negative aspects can create a wrong impression that others may exploit to further complicate the situation in Bahrain,” Al Zaabi said. He said the only way to resolve the situation in Bahrain is through objective and constructive dialogue, not confrontational and tense language. Readers are forgiven for not remembering that in the 1980’s it was forbidden for UN officials to name and shame countries by name (with a few exceptions) and those that did usually paid a price for that (e.g. Theo van Boven in 1982 and the curtailing of terms for some High Commissioners). Now, in the span of one week the current High Commissioner for Human Rights, Zeid Ra’ad Al Hussein, has first named and shamed some politicians as dangerous demagogues (6 September 2016 in the Hague): Mr. Wilders. Mr. Trump, Mr. Orban, Mr. Zeman, Mr. Hofer, Mr. Fico, Madame Le Pen, and Mr. Farage. He followed this up in his opening statement at the 33rd session of the UN Human Rights Council on 13 September 2016 with a forceful attack on countries that refuses to cooperate with his Office or other UN procedures: foremost Syria but also Venezuela, Turkey, Ethiopia, Israel, North Korea, India, Pakistan, Mozambique, USA, Gambia, China, Nepal, Uzbekistan, Armenia, Dominican Republic, Belarus, Eritrea, Iran, and Burundi. The non-cooperation by those in control of areas such as Abkhazia, South Ossetia, Crimea, and Nagorno-Karabakh was also singled out. “Human rights violations will not disappear if a government blocks access to international observers and then invests in a public relations campaign to offset any unwanted publicity. On the contrary, efforts to duck or refuse legitimate scrutiny raise an obvious question: what, precisely, are you hiding from us? I classify as refusals of access all unreasonable delays, elaborately ritualised and unreasonably prolonged negotiations, and responses to specific requests which seem to seek to fob us off with inadequate alternatives to real, fact-based assessment. Access delayed is access denied: two weeks is surely amply sufficient to secure a decision from all relevant officials. Claims that insecure conditions make it impossible to give my staff access are also less than acceptable. My staff work with great courage in some of the world’s most severely threatened communities, and will continue to do so when called upon – or at least, we could be the judge of that. The two texts follow below in toto; summarizing them would not do justice to the elaborate and courageous words of this High Commissioner, who seems not to be concerned about securing a second term. Moreover, the one in the Hague stands out by its eloquence!